Before we take you through the year that’s been, here’s a glimpse of what Your support has helped us achieve. Ultimately, the true worth of a NGO’s work shows in the lives of its Beneficiaries Our journey started in 15 august, 2006, but got registered in 21 may, 2013. Growth Foundation of India was born with the core value and belief that it Must be a democratic organization and people’s voices should be listened Carefully. All our programmers have a common theme of people Participation and enabling them to have a voice of their own. We started our work with funds raised largely from family and friends as Most young organizations do. This was an important part of our journey, Which bought in the spirit of volunteering and commitment to the team. Since our inception in Delhi, we have grown to other locations like Uttarakhand and planning to grow In other states too. we are serving over 15,000 lives! Children made aware of Cancer. Voluntary Blood Donors joined our mission. Women Self Help Groups Promoted. GFoI have set- up health checkup Camps to spread knowledge about the harms of open defecation. Project Vinay Informal education is provided to children and women of the area of Bhawar Singh Camp. 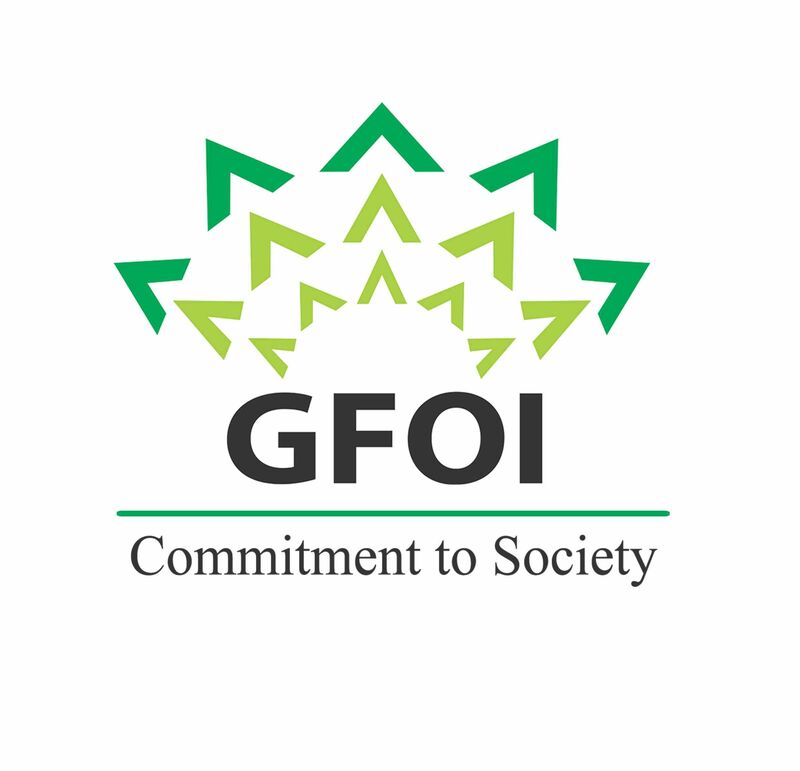 There were total 20 awareness campaigns conducted by GFoI on Right to Information. At the age of 3 I lost my father due to snake bite, From that date till now I have felt, the Need to work on various social issues majorly on: ● Health ● Education ● Women Empowerment My roots are from hills of Kumauni at Pithoragarh district. I have learnt the art of living From my grandparents. We have started GFOI on 15th august, 2006 And till the date we have covered population around 5 lakh in different Parts of Uttarakhand & Delhi NCR. We are operating an Informal education center, Skill development training center, drug rehab Centre. We are operating 5 education Centre, 2 SHG, adopted 2 Slums and 1 school. When you do good work people will support for the same. With stronger partnership and your support, I am sure we will continue to Move towards achievement. Our staff are the most valuable instruments Through which we serve the most vulnerable people. We have friendly staffs and Policies that are enabling good working environment for us. I know the road is long and Bumpy, but Its is our duty to thank the community, staff, governance structures, donors ,corporates, government, foundation, trusts and well-wishers of Growth Foundation of India for the support and guidance extended to us. Let god almighty bless each one who participated in this benevolent act of promoting well- being of the marginalized, restoring their rights and enabling us to process in Nation building exercise. Not every child is lucky. We need your support to help a child in completing their education. This Program makes it possible for an individual to sponsor the cost of education or total living expenses for one underprivileged child. Growth Foundation of India endeavors to find sponsors for the children and facilities linking sponsors with individual children. The aim is to support this child financially until he completes his education and is able to support himself. You can become a sponsor for a child. Your sponsorship enables us to care for and educate them. We at Growth Foundation of India are compassionate in blossoming out the hopeless and helpless societies through initiations in sectors of Health, Education, Environment and Skill Development. Growth Foundation of India is a non-profitable organization Registered under Indian trust act 1882 (Certificate No. IN-DL16917256600086L) founded by a group of professionals, who have setup this organization apart from their hectic corporate life to work at the grass-root level with a single-minded focus on ‘Empowering Rural and Underprivileged Communities in India’ through bringing together the best global practices and corporate thinking. And also to make achieve the highest standards of corporate governance and transparency by deriving a model of Sustainable Development, which is now an essential benchmark in the industries to be implemented.